Indian Army Recruitment 2017- Havildar Posts in the Army Educational Corps for Male Candidates: Last Date 30-05-2017. - Jobs4NE : Jobs in Assam and North East India. 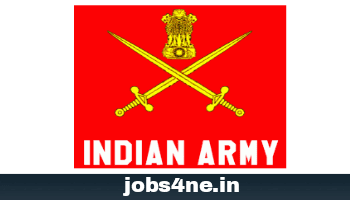 Indian Army Recruitment 2017- Havildar Posts in the Army Educational Corps for Male Candidates: Last Date 30-05-2017. Starting Date to Online Application: 01-05-2017. Last Date to Online Application: 30-05-2017. Name of the Post: Havildar (Education). No. of vacancies: Vacancies will be released at the end of recruiting process by the concerned Army authorities. For Civilian Candidates: Age limit should be 20 to 25 years as on 01-10-2017 (i.e. Candidates born between 01-10-1992 and 30-09-1997 inclusive of both dates). For Serving Combatants on Remusteration; 20 to 28 years of age as on 01-10-2017 (i.e. Candidates born between 01-10-1989 and 30-09-1997 inclusive of both dates). Educational Qualification: Candidates should possess Graduation/ Post Graduation degree from a recognized university, have working knowledge of either English or Hindi or both. Please download the advertisement details for more information. (i) Group ‘X' (Post Graduate/ Graduate Degree with B. Ed. ): On completion of successful training you will be placed in the Pay Band-1 (Rs 5200-20200/-) as per 6th pay commission.You will also be entitled Grade Pay (Rs 2800/-) + Military Service Pay (Rs 2000/-) + Group 'X' Pay (Rs 1400/-) per month. (ii) Group ‘Y' (Graduate Degree with out B. Ed. ): On completion of successful training you will be placed in the Pay Band-1 (Rs 5200-20200/-) as per 6th pay commission. You will also be entitled Grade Pay (Rs 2800/-) + Military Service Pay (Rs 2000/-) per month. Selection Process: Candidates will be selected based on Written Examination, Teaching Aptitude Test and Interview. For Remusteration Candidates (Off-line): Eligible candidates can send their application filled strictly as per Pro-forma given in the notification along with the required documents to respective Record Offices who will then forward the same to concerned Headquarter Recruiting Zones or Independent Recruiting Office (Delhi Cantt) nearest to the place of posting of the candidate. Top outer cover of envelope should be contained as “Application For Havildar Education 2018” in red ink. For Civil Candidates (Online): Eligible candidates can apply online through the website www.joinindianarmy.nic.in . Download advertisement for more details on this recruitment.